The south coast’s leading fresh produce importer, Portico, can boast a healthy start to the new year, after securing a 12-month contract with international shipping giant Seatrade. From next week Portico will handle Seatrade’s new Zodiac reefer service from the Caribbean and South America. This liner service will transport a variety of tropical fruit and vegetables to the port in Portsmouth. Steve Williams, Portico’s operations director said: “We’re looking forward to managing Seatrade’s new Zodiac reefer service. 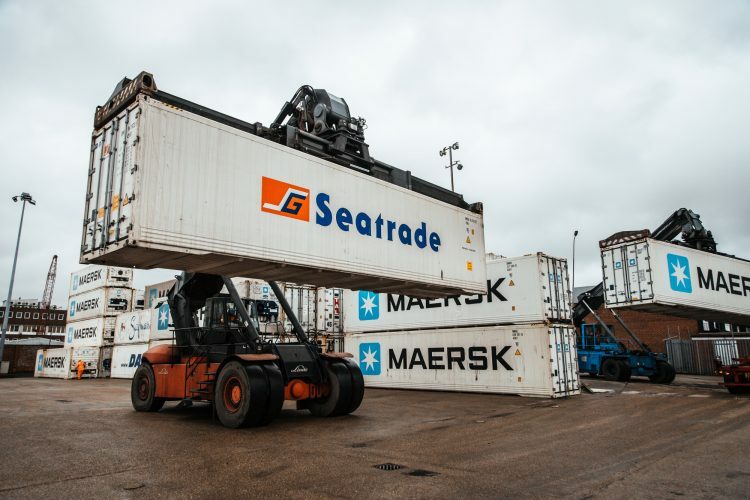 Seatrade are famed for their fast and direct service, and our position on the south coast makes us an ideal location for onward distribution. “After the recent completion of our first major redevelopment phase, we have increased our refrigerated container storage capacity and are able to provide fully integrated terminal services. “This is a significant contract and demonstrates the benefit when you invest in the business. This strengthens our new business plan, which aims to see move into a strong profitable business within three years. At least 2000 pallets a week, and 50 containers, containing bananas, melons, pineapples, and also vegetables, will arrive in Portsmouth ready for distribution across the UK. Five vessels will be used on rotation, Santa Maria, Santa Lucia, Regal Bay, Fegulus and Comoros Stream, with the largest up to 155m LOA. Viking Sea following Mont St Michel into the harbour this morning, @GunwharfQuays & @SpinnakerTower looking fabulous!